Immediately after a diagnosis or injury, you may feel you will never cope with what life has dealt you. Overwhelming feelings of sorrow, anger and unfairness are very common and absolutely normal. But somehow, most people do eventually adjust to their new lives. In this article we look at coping strategies and find out how others have learnt to live with a neurological condition. It can take time to adjust properly to a serious illness or disability - it represents a huge change to life as you know it. Many people go through a series of different emotions, such as anger or denial, before they can accept their new circumstances and adjust to them. "I used to fantasize often that it had been a mistake, that someone else's scans had been mixed up with mine," says Ben, whose MRI scan showed an unruptured aneurysm in his brain. "One day I think I simply decided that I physically and mentally could not be afraid any more and if I wanted to have some form of a life I had to face up to the reality of the situation." "I'd been home a few weeks... and that's when I had a real 'Why me?' kind of feeling and I hadn't had that before. I hadn't been upset about it at all and suddenly I was screaming and pulling my hair and going, 'Oh, why me? Why has it happened to me? Why is my life ruined?'" In their own time, most people move on from these feelings, but if you are finding it difficult to accept your situation, help is available. You could ask your GP to refer you for counselling, or call the Brain and Spine Helpline nurses to talk things through. 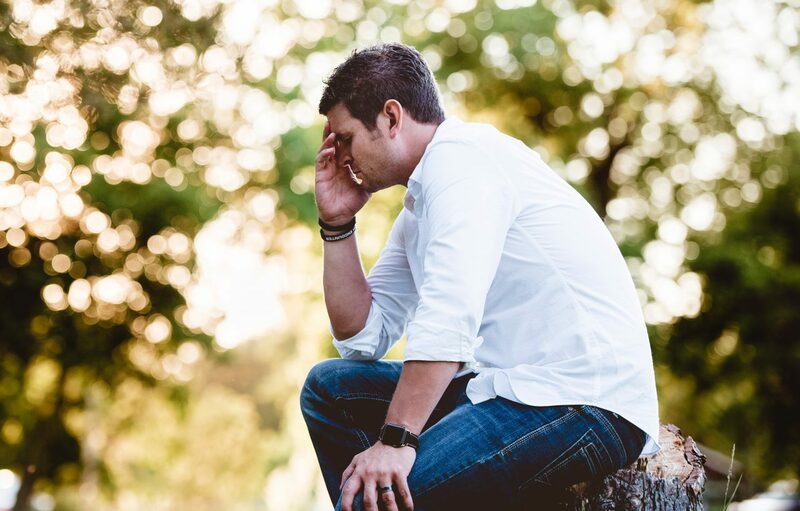 Up to 1 in 3 people who survive a subarachnoid haemorrhage are thought to suffer from post traumatic stress disorder (PTSD) - a natural reaction to the trauma of surviving a life-threatening situation. After a close brush with death, they may become aware of their own mortality, and become much more anxious about health or other issues. Post traumatic stress disorder may also affect you if you or a loved one has experienced a traumatic accident or injury. If you think you may be affected, speak to your GP or specialist. Once you have begun to come to terms with your situation, it can help greatly to know that you're not alone. People who have experienced what you're going through can be a really valuable source of support. They can help to show you that there is life after diagnosis, and they are often a source of information, hints and tips for making life easier. "I learnt all I could about my condition (dystonia) from websites and the Dystonia Society, talked to other people with dystonia, and attended Support Groups to share experiences and coping strategies," says Jane. Alan, who has multiple sclerosis, joined an Expert Patients Programme course for people with chronic health conditions: "I found that no matter what condition the other participants had, they had all experienced the same feelings and emotions as me. This meant that at last I could talk to people that really knew how I felt," he explains on the Expert Patients Programme website. "Because of this we quickly formed a bond and spurred each other on with a new outlook on life. We learnt that small changes to our lifestyles meant there could be life after diagnosis and with positive constructive thinking we would be able to cope better. The bond remains with many of the participants still in contact and providing support for each other when needed." Online support groups and forums can be invaluable if you have mobility problems or limited time, and they will enable you to get in touch with people from all over the world. If you can't find a support group for your particular condition, you can always post a message on the Brain and Spine discussion forum. If you are newly affected by a serious injury or illness, thoughts of the future may at first be very upsetting. Your life is likely to be very different from what you may have hoped or planned for yourself and facing up to this may be painful. "It would even be the stupid little things like, say, today I'm going to walk to the house 3 doors away. And I'd do it and then it would be 4 doors away or I'd go to the postbox or something... And it was even things like, this morning I'm going to put my own socks on, rather than have my husband do it," she says. Pursuing your goal will give you a sense of purpose, and a great sense of achievement when you fulfil it successfully. Making a note of these successes can also give you hope and show you how far you have progressed. Following a traumatic event, many people start to rethink their priorities in life. You might start to think about changing your career, making more time for friends and family, or just enjoying the smaller pleasures that are often taken for granted. Your relationships with friends and family may change when you or a loved one becomes ill. You may become more dependent on your family to help you with day-to-day tasks - or if you are a carer, your life may become very focused on looking after your loved one, with little time for other relationships. Our Carers section has an article on relationships that explores how couples have coped with a neurological condition, and you may find it useful to read. You may find that some friends don't know what to say or how to act around you. "Some may take it in their stride and be seemingly unfazed," writes Alison Wertheimer in her book A Dented Image: Journeys of Recovery from Subarachnoid Haemorrhage. "Others may find the whole idea of brain injury very threatening." "Friends sometimes react in unexpected ways. Some will cope better than others and, as often happens with a bereavement, some friends will be more comfortable with offering practical help, while others will be able to offer a listening ear." "Yes, we will lose friends who don't want us any more because our body parts don't work any more. Yes, it is painful when this happens," she says. "But there are new friends to be made, just like when you left school and lost contact with some of your friends, you made new friends." For many people, a challenging or traumatic event can nevertheless bring about positive changes. Psychologists have called this Post Traumatic Growth (PTG), and have carried out research on the subject. "The research does not suggest that there is anything inherently good about a trauma or painful loss - of course there isn't. But what the research does show is that when events happen that force us to stop, to step out of our day to day lives and to confront issues we might not usually have to, it is possible for some good to come from the struggle." Sandra's son Ed suffered a severe brain haemorrhage in 2002, which left him in a persistent vegetative state (PVS). For her, adjusting to the situation has been as hard as you might imagine, and she describes it as a "constant ache," with pain that never goes away. "From the point of view of a mum whose son is in PVS I will never come to terms with what has happened to him, but what I have learnt to do over the last few years is learn to adjust," she says. "I am certainly much more resilient now, I have fought for his rights all the way and am now a much stronger person." If you have any questions about any neurological topic, or would like to chat about your situation with one of our Helpline staff, call the Brain and Spine Helpline on 0808 808 1000 or email helpline@brainandspine.org.uk. We'd like to give a special mention to Alison Wertheimer's book A Dented Image: Journeys of Recovery from Subarachnoid Haemorrhage, from which several quotations in the article were taken. The book is a valuable resource for survivors of subarachnoid haemorrhage and their families and friends. Article with information on coping emotionally, practical support, finances and the future. This article explores resilience, building resilience skills, realistic optimism and post traumatic growth. 10 tips for building up your emotional resilience. Subarachnoid haemorrhage survivor Maria Ross has written a book about the experience, called Rebooting My Brain. In an interview with the Brain and Spine Foundation, she talks about her recovery and passes on her message to fellow brain injury survivors. Ben was 26 when a CT scan showed that he had a brain aneurysm. Though the risk of a bleed was small, the psychological impact of the aneurysm had a huge effect on his life. Melissa's story: Why having a spinal cord injury doesn't mean I have "given up"
"I've far from given up," says Melissa, "I've just adjusted to life - accepting what can't be changed and making the best of a bad situation."